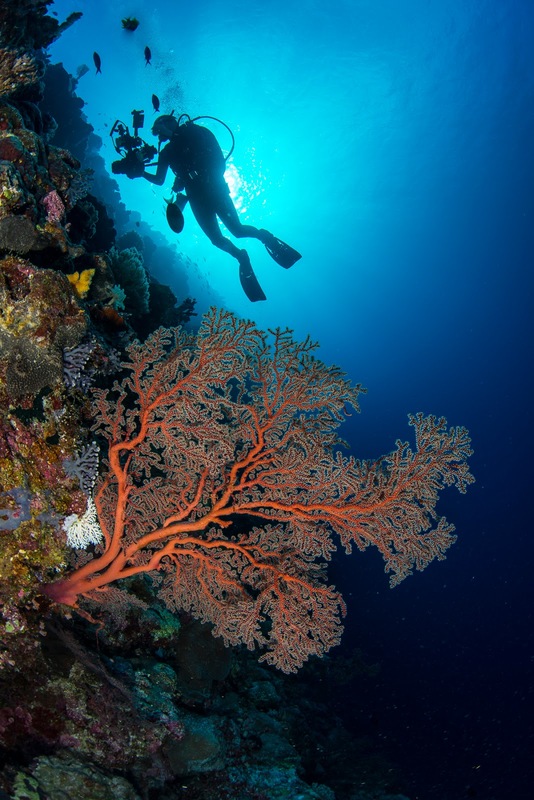 Although there are several “amphibious” dive camera packages available, they tend to lag in features, construction and quality. They also tend to be closed, all-in-one packages that cannot use the best components that are industry standard accessories. So for the purposes of this article we are discussing cameras and housings purchased separately where you can buy the best available to meet your needs. Shop for the housing first: Check out housings before buying a camera. There can be a limited selection, or none available for certain types of cameras such as “super-zooms”. Popular brands like Nikon, Canon, Olympus, Panasonic and Sony are generally supported, but not all models. House the latest camera available: Housings cost the same for an older camera as a newer one. Housing an old camera is typically not a good investment and you don’t have access to all the latest features and image quality. Plus resale later isn’t as great. House an advanced model camera: Quality housings can cost as much, or several times more, than a camera. The camera actually becomes the least expensive part of the system. You’ll find better choices, and have better resale later, with a more advanced camera then a lower-end consumer model. Some less expensive model cameras won’t work with lenses that are popular for use underwater either. 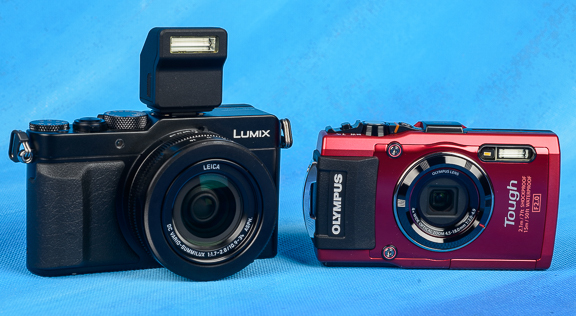 Digital cameras have many parts, but are all basically pretty similar in their basic operation. One concept to remember is that you are not capturing a photo of the subject, you are capturing the light reflected off it. This light is focused by a lens on a sensor, adjusted by both lens and camera controls, is captured, processed by an internal camera computer, and written to memory, usually an SD or other type of card. Obviously size, design, weight and price can determine much of their capabilities. But components also break them down into various classes of design by the camera manufacturers. Sensors are the “film” the camera uses to capture images on it’s “pixels”. The larger the sensor, the larger and denser the amount of pixels, thus more detail, sharpness, fine colors and gradation (also known as dynamic range), can be captured. A larger sensor also has better low-light abilities. They range in size and are commonly referred to their crop factor from a 35mm peace of film - which is known as full-frame. Pixel Count: Don’t confuse mega-pixel count (MP) with sensor size. A larger sensor with a smaller MP count is a better imaging engine, because it’s spreading the image over larger pixels. Larger pixels capture more accurate information as there are fewer “gaps” that the camera has to interpret and they work better in low light. 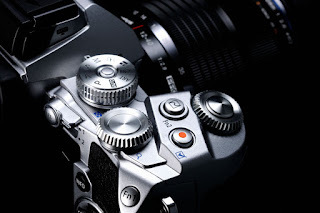 Direct controls to adjusting ISO, aperture, shutter speed, autofocus, video mode, etc are better. They allow quicker access which saves time and so you don’t have to remove your eye from the subject while making adjustments. Generally less expensive cameras have fewer direct controls, or offer shared controls where one control does multiple functions, and more “automatic” modes. More expensive and advanced cameras have more direct controls to their features. Look for control over basic exposure modes, aperture, shutter speed and ISO. One-touch white balance and video on/off are nice to have. Function buttons and “programmable” modes are very useful as you can set the camera up for different types of shots like macro and wide angle, or add a function to a one touch button that the manufacturer has buried in the menus. “Super” control panels and “info” screens are a big help as they allow an overall display and quicker access to controls, menu items, and functions - giving you “one-stop shopping” with your camera. Play with the software and see how easy/hard it is to set up and access various options. See if you like the way a manufacturer lays out their menus. Are important items buried? Are they easy to find and logical to remember? Are they easy to read underwater in dim light conditions? Do they allow adjustments to items like flash EV and sync speed to fine tune your shots? Can you fine tune the way the camera auto focuses for instance, or reprogram a control or function button the way you want to? These are found on compact cameras and some SLRs. They work best in tropical conditions, in shallower water without strobes and can be very useful for shooting video. They usually set a higher ISO and adjust white balance to filter the cyan “blue” from shots. 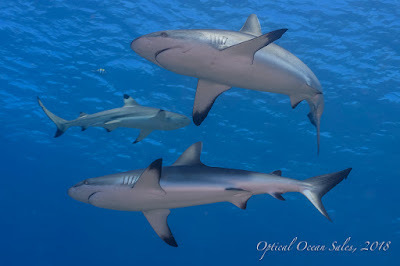 Many work quite well in the right conditions for those just starting out in underwater photography. • One-touch video or easy transitioning from still to video modes. • High quality video; most cameras are now at least 1080p HD (each frame has 1080 pixels vertically) now, some even 4K. 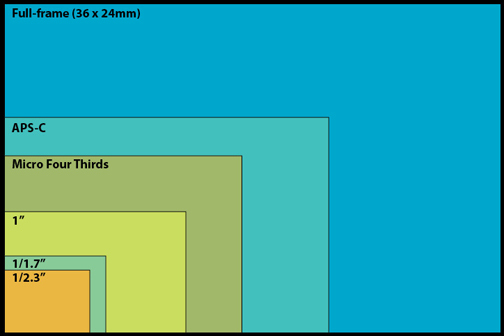 4K seems to be the newest standard with 4,000 pixels measured horizontally - the equivalent of 2160p. But those cameras create huge files that can be hard to work with, so the ability to transfer them for editing at smaller resolutions is good to have. • Fast frame rate (frames per second - fps), 60 is best for the amount of motion underwater, 30 will work. • Processor – How fast it is, how well it renders images. Next to the sensor, it’s the most important component. • Frame Buffer – Helps processor speed up writing the image by adding temporary memory to store images as they are taken. • Battery, charger – You’ll need an external charger & spare battery (avoid 3rd party). 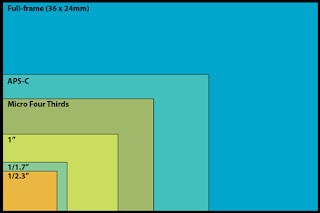 • Viewﬁnders/view screens – How easy to see through, size and brightness. • Overall ﬁt and feel – How comfortable it is to you, how it handles in your hands, it’s weight, size and construction.This is an individual consideration and is very important. Underwater, we want to get close to eliminate water between the camera and the subject for better sharpness and color saturation. So wide angle and macro lenses are used. Telephoto and longer lenses aren’t generally used, except longer macro lenses which can be used for “fish portrait” type shots. For wide angle ultra wide (8-15mm or so) fish-eye lenses work very well underwater and become rectilinear due to refraction. The can have limited zoom abilities, or are fast, fixed focal length in design. They retain very sharp corners, focus very closely, and can be used in smaller dome ports. They are still very wide and are best used when you can get close to your subject. General purpose rectilinear wide zoom lenses can work ok, but are slower and don’t focus as closely. They can need longer extensions, and may need diopter filters and larger dome ports to retain corner sharpness. • Compact cameras: Avoid “super-zoom” lenses that cannot be housed, try to find a model with the widest lens that can focus closely. • Quality: Look for high quality glass and construction. • How Fast: Aperture is a ratio of the opening of the lens. A faster lens (smaller f-stop like f/2.8) allows faster focus and usage in low-light conditions found underwater. Also you can stop down more which allows you to use the sharper center portion of the lens. 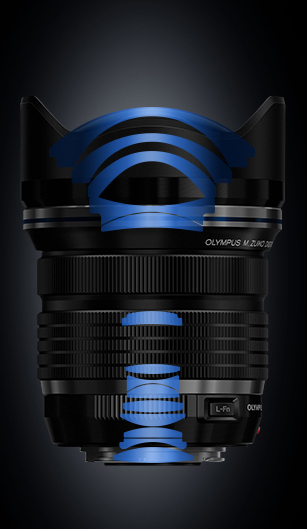 • Close Focusing Ability: Wide angle lenses generally need to focus to about 9” or less to be used in dome ports. • Sharpness: Check reviews on DXO or other sites to see how it’s rated for performance and resolving power. 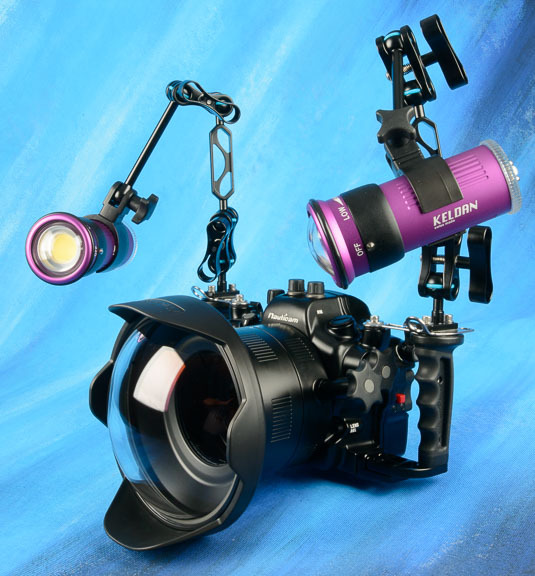 • Optical Stabilization: Helps for longer exposures, can allow for lighter backgrounds, works well for video, not all that important underwater using strobes. Some cameras have this built-in, some rely on the lenses. • Auto Focus: How fast is it? Does it focus well with your camera? Does it “hunt” focus? 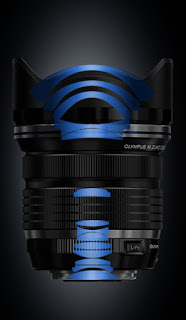 Can it do continuous focus. Some cameras rely on a focusing motor in the lenses to work, others have the motor in the body. • Mount: Metal or plastic, impact or water resistant? • Compatibility: Does the lens have the right mount for your camera, work with the auto focus motor correctly? Is there support for ports and gears? The three major camera groups are Compact, Mirrorless SLR, Cropped Frame and Full-Frame DSLRs. This is based on their design, size, sensor size, and performance. But there are many shades of grey within them, cameras that belong in sub categories like “Advanced Compact” and several new cameras that “cross the lines”; i.e. 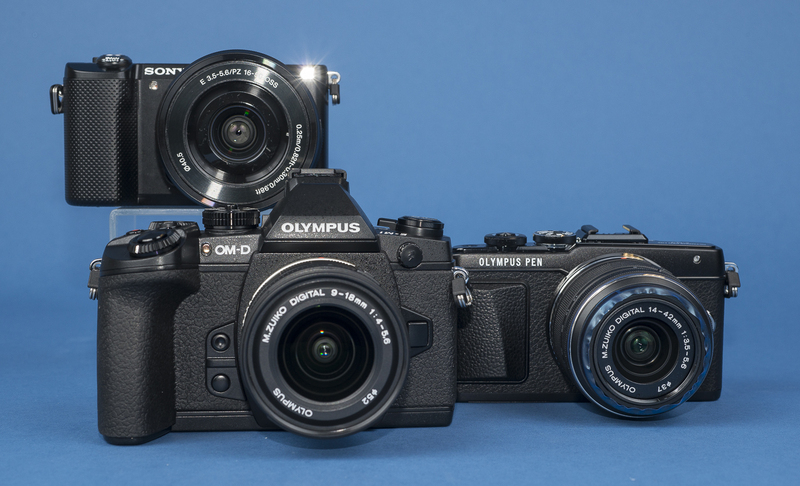 a compact with a large sensor, or a full-frame mirrorless camera, obviously these can be popular models as they combine the characteristics of both classes. Here’s some advantages and disadvantages of these camera groups for underwater photography. This is the more standard, smaller, all-in one camera with a fixed lens. 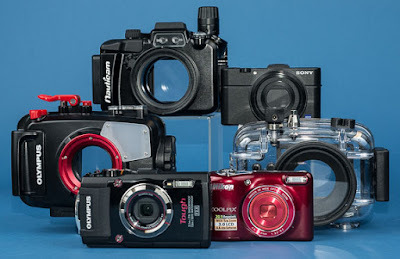 Popular examples for underwater use include: Olympus TG-4, Sony RX-100 (series), Panasonic LX-100, Canon G7X and many others. There is the Advanced Compact sub-class of camera with larger sensors, faster processors and higher quality lenses. • Models with larger sensors, faster processors and better lenses now available. • Easy to handle underwater, better for new divers. • Excellent to travel with. 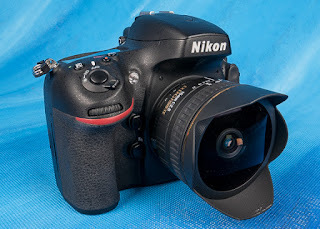 • Small sensors, so only average low-light performance, dynamic range and sharpness. • Slower AF compared to m4/3rd & DSLRs, particularly in low light, as they use contrast autofocus. • Single fixed lens is not as versatile. • “Wet lenses” add to system cost. 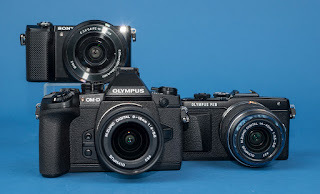 This format is sold by Olympus and Panasonic as “micro-4/3rds (or m4/3rds) cameras like the PEN, current popular cameras include the OM-D EM-1, EM-5 (series), PEN E-PL (series), Panasonic GX8 and others. • Faster processors and better software. • Faster autofocus than compacts, they use contrast AF, but they also use some elements of phase detection. • Smaller and lighter then DSLRs, can use smaller dome ports. • Will require two housing ports, one for macro and one for wide angle. Also zoom gears. Popular cropped sensor DSLRs include Nikon D7200, Canon t6i, Canon 7DMKII and others. Popular full-frame cameras include the Nikon D750, D810, the Canon 5DMKIII and other professional cameras like the Nikon D4 and Canon D5S. In this category I would include the Sony A7 and A7II series, which is an “in-between” mirrorless full-frame camera. 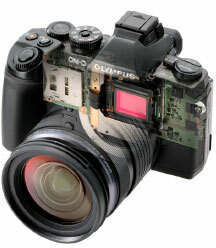 It has characteristics of both mirrorless and DSLR cameras. • Full-frame cameras can have a shallow depth of field. • Will have to commit to subject matter; either macro or wide angle for dive. • Generally needs larger dome ports for best quality. Five New UW Photo Products We Like & Stock!